Hi, Nikki here! Here is a great tip I got from GIS expert Edward Gonzalez-Tennant. 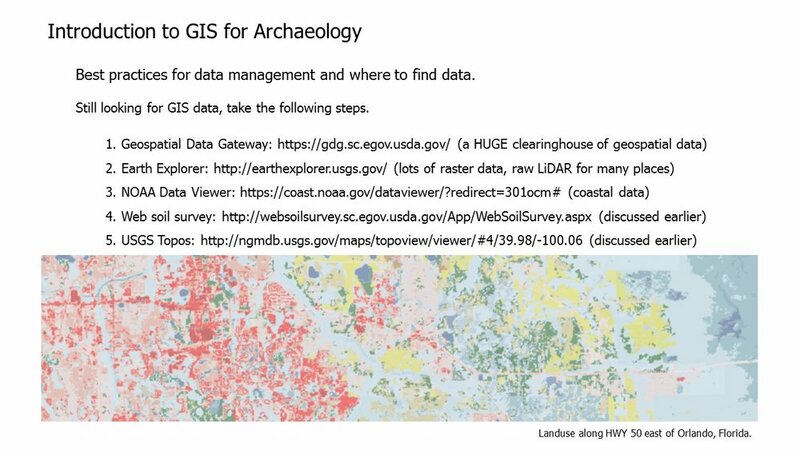 His exciting webinar session was bursting with tips and tricks for integrating GIS more seamlessly into archaeology projects. We learned essential tips, such as where to find data for projects, as well as how to recognize some of the different coordinate systems and file extensions that may be encountered while downloading data. Edward also shared advanced tips for more seasoned GIS using archaeologists. For example, did you know that you can utilize the ET GeoWizards program to generate a grid layer of points that are linked to real-world coordinates? For archaeologists, this can be used in the pre-field planning of shovel test pits, which can help to save time and help to standardize data collection.